Shipping: $4 for one or all in the US. I'm happy to ship international as well. There may be a minor imperfection that a dab of green stuff or Sculpey or paint will need to hide. I've tried to toss out any casts with obvious imperfections, but may have missed something. 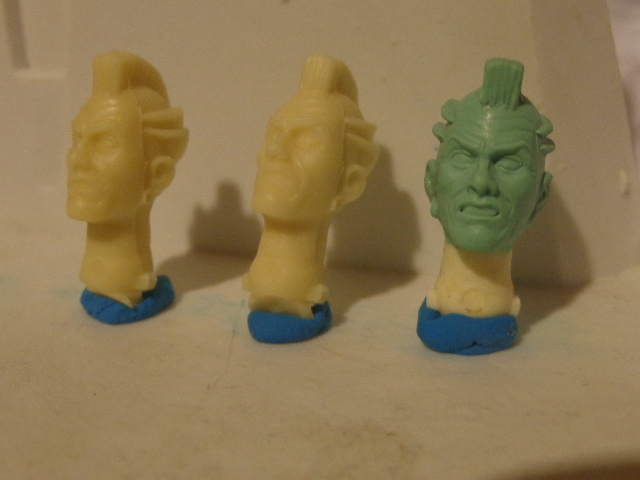 As before, ALL dollars paid for the Dreadnok and Zombie head casts will be used to cover the cost of the commissions and casting materials. All proceeds received beyond this will be put toward our next commission, Cartoon Cover Girl. Several of us feel Cartoon Cover Girl is very similar to Dr. Knox, so expect that next head to be used for two purposes. Heck, I'm thinking it might work, with an eyepatch, for Crimson Asp. Also, see below for a Toxo-Zombie leg for all your zombie needs! 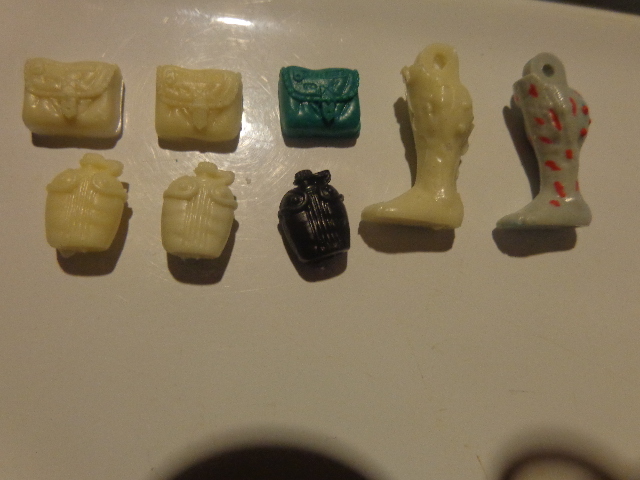 Check out this post for other heads and pockets from my August round of casting. 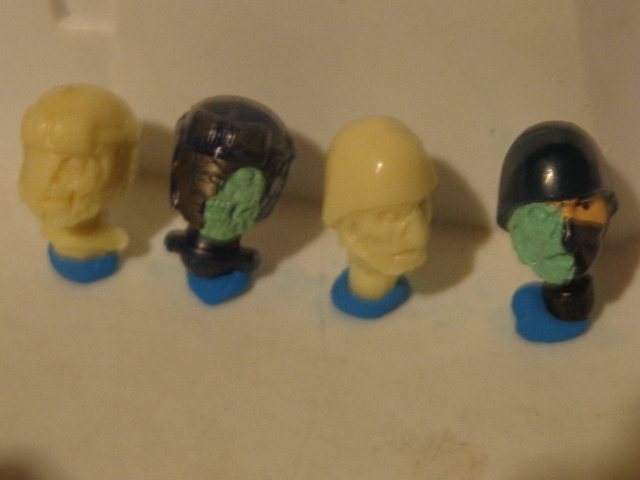 All proceeds from Billy heads will be put toward the next head commission. 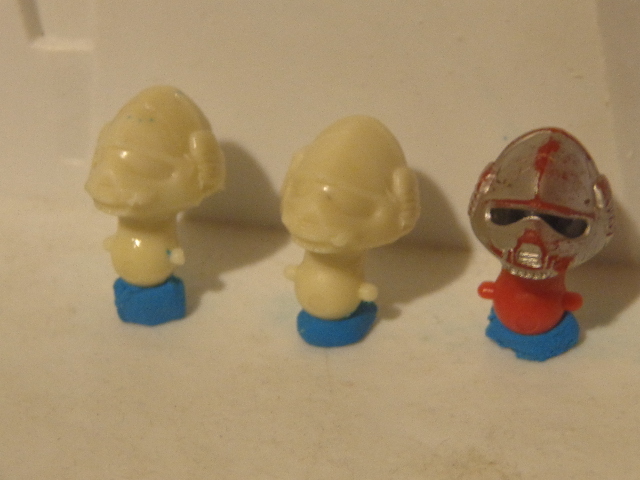 Shameless plug: Check out my site for cheap figures. I also have a ton of body parts and accessories not listed. Send me your want list if you're looking for anything specific. Just added about 200 figures this week. So awesome! They'll be fun to paint, too.